If you know your Maribel from your Mervyn and your Ruff from your Ranger, then you'll definitely know the pain that is Dragon Quest 7. Or rather the fact the much-loved JRPG has been out in Japan in three years with nary a hint of a Western release. Well, dry those Slime-shaped tears because Nintendo and Square Enix are finally bringing the 3DS hit to the West on 16 September. The 3DS version is actually a remake of the original version of Dragon Quest 7, which first premiered back on the PS1 back in 2000. Subtitled Fragments of the Forgotten Past, the game was the first in the popular RPG series to get a Western release since Dragon Quest IV and has since proved one of the best and most popular entries. The 3DS original came to Japan in February 2013 and again proved a big seller, but all the success in the East failed to generate any tangible news on a localised version of the US and the EU. It's been a bone of contention for fans of the long-running series here in the West, but considering JRPGs don't sell as well outside Japan as they do within it's hardly a shock to see such a huge gap between the two versions. It's not the first time we've waited an age for a localised version of a hit Japanese game either. In fact, there have been way too many - just take RPG brawler Yakuza 5, which took a huge petition and three whole years to reach the West (and that was only as a digital-only release!). 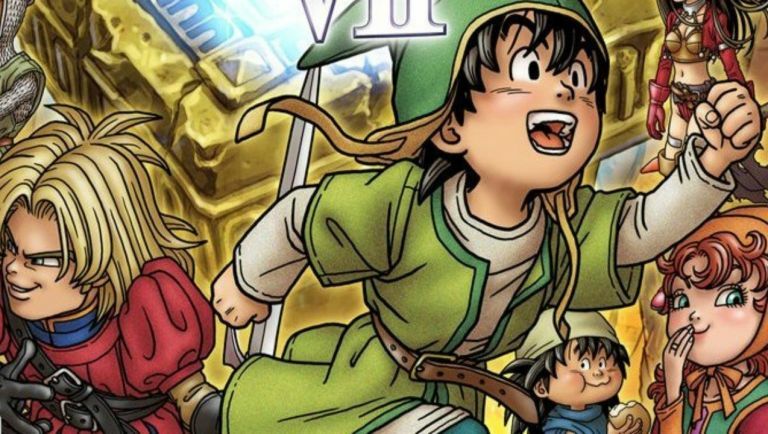 Still, Dragon Quest 7 is coming to Western Nintendo 3DS'! Yay! Check out the trailer below for more info.